It is located in the region of Es Raiguer, in the interior of the island. Inca is among the first cities in the island when it comes to population. Historically, in this municipality there were Talaiot settlements, still inhabited under Roman rule and until the 5th century. During the Islamic period it was called "Inkàn", and from it some vestiges remain, such as the "sinies" and the "ganats" or "foggara", different systems employed by the Arabs to draw underground water. This town saw its peak at the beginning of the 20th century, when thanks to the railway and the installation of a gas factory, the leather industry began to arise, specially footwear manufacture. In Inca there is a market every Thursday, considered to be one of the most important in Majorca. But the most remarkable of them takes place on "Dijous Bó" (Good Thursday) coinciding with the town's fairs and trade shows. In the "cellers" at Inca, which is the local name for cellars that also function as restaurants, the visitor can try the regional cuisine, as well as traditional biscuits. 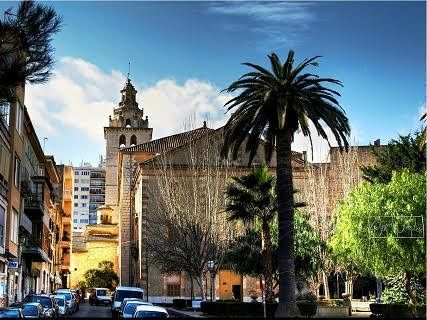 As for Inca's monumental heritage, we must point out the church of Santa María la Mayor, the old convent of Sant Domingo, the convent of Sant Francesc and the monastery of Sant Bartomeu.